Come learn with us. ATSU recognizes that learning occurs in a variety of formats and that technology is changing so quickly it is difficult for any of us to keep up with the tools, techniques, and technologies that can help us learn… and ultimately make us more productive. One way we learn is through discussion and conversation. This area is intended to be a guide to a variety of select learning communities (sometimes called discussion groups or discussion forums) at ATSU. Some of the groups have been formed to facilitate discussion and conversation on specific topics or areas of shared interest. Some may be part of a committee structure with a particular charge. Some maintain a wide range of content on a website, others have been formed as a practical communication device and simply provide a way to distribute email to a particular group. Whatever the structure, the groups provide a great way to share information and ideas. Pick out an area of interest, and join in the conversation. Blackboard User Group – This group maintains a very active discussion group along with a website containing information helpful to faculty and staff who utilize Blackboard. Canvas User Group – This is a forum for discussing Canvas Learning Management System (LMS) issues and a central outlet for Canvas news and training opportunities. CampusVue User Group – The CampusVue user group provides as area for users (ATSU Employees) of the ATSU Student Information System to share questions, information and helpful hints about using the system. Clinical Coordinators Group – The individuals in this group have a part in tracking student’s clinical rotations. MS Dynamics User Group – This group is dedicated to topics related to the use of MS Dynamics. Arizona Campus – Classifieds – Advertise items for sale, look for job postings, connect with others for carpooling, or more. Arizona Campus – Housing – The purpose of this discussion group and forum is to advertise rooms for rent, looking for rooms or room-mates, and houses/condos for sale. Arizona Campus – Work Study – The purpose of this distribution list and group forum is to provide information on Work Study Jobs for the Mesa Campus. 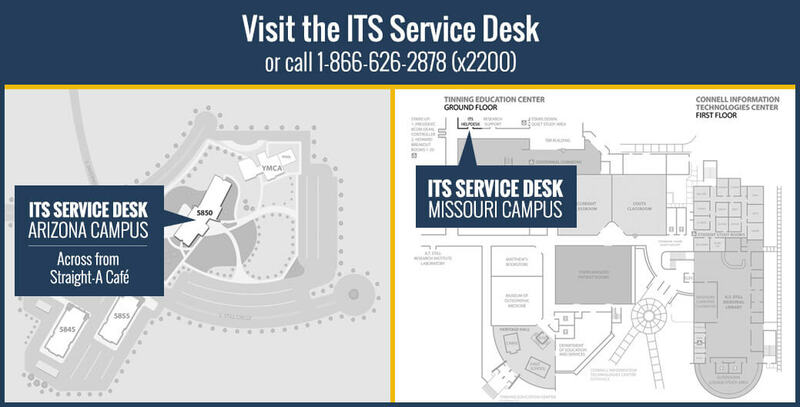 Missouri Message Board – Similar to classifieds, this distribution list and forum is used to advertise items for sale or items wanted and a variety of other Missouri campus information shares. ITS Lunch and Learn Series – Broadcast live from the David Welch studio at ATSU’s Kirksville, MO campus, the Lunch and Learn Series is loosely based on a television-style, weekly news program. The series is co-hosted by the Communications and Marketing, Human Resources and Information Technology and Services departments. The series is designed to be an informal and fun way to inform the ATSU community and to experiment with new technologies and services that could eventually make their way to the other areas of the university, including the classroom.